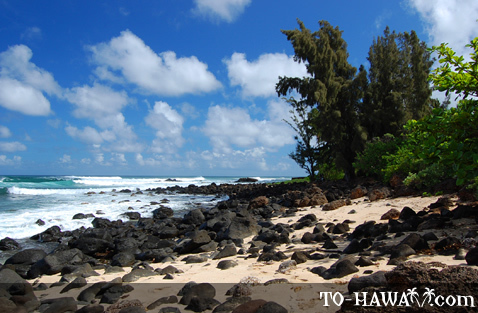 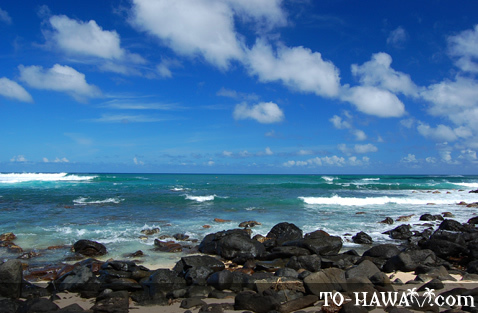 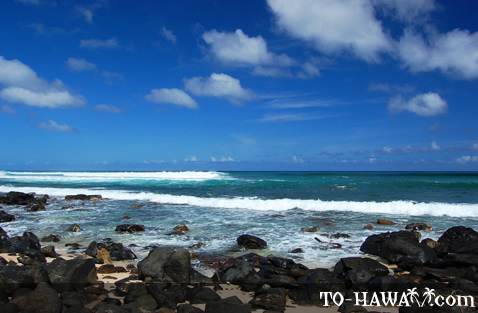 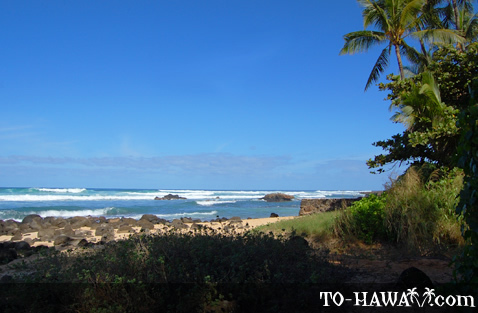 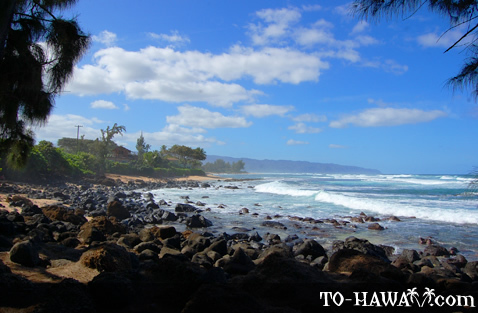 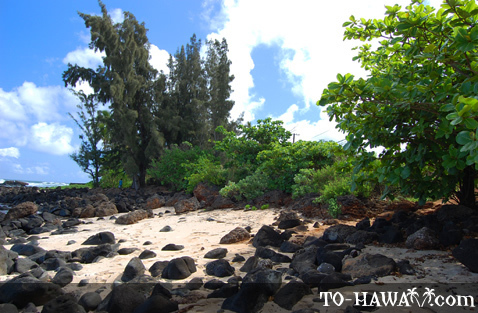 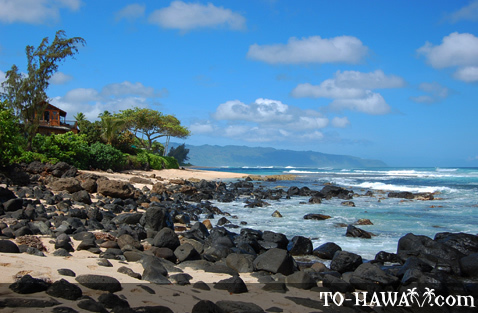 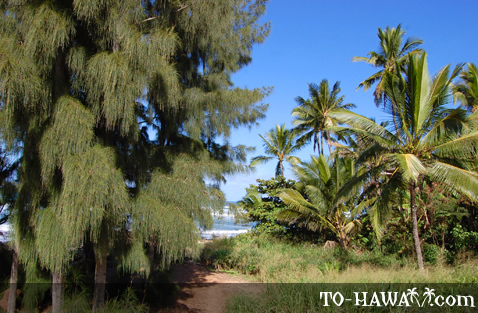 Located on Oahu's North Shore, Leftovers Beach Park (view panorama) is one of the island's lesser-known surf sites.The small beach park can easily be missed as there is only a small pullout parking area along Kamehameha Highway. 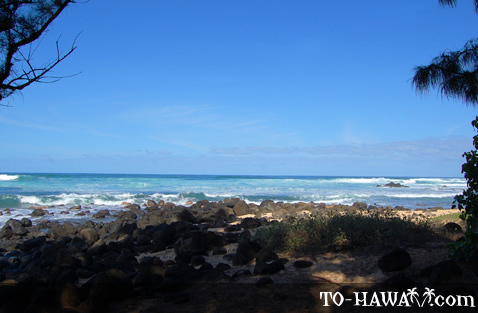 From here, a hidden trail leads down to the small beach, which is framed by rocks. 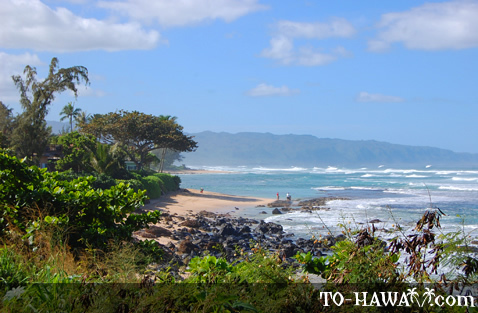 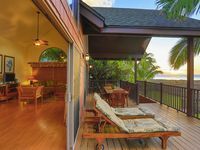 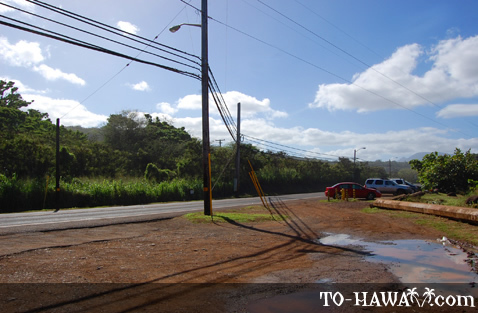 In the 1960s when big wave surfing first became popular, surfers considered this beach a second choice, or "leftover" surf site, paling in comparison to its neighboring beaches of Hale'iwa and Waimea Bay. 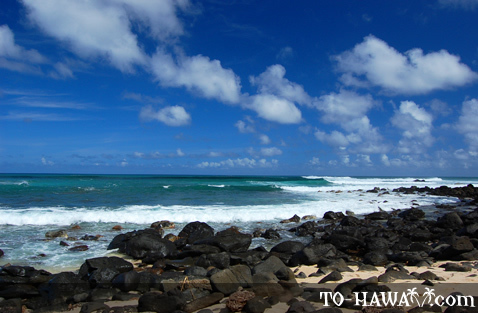 Coincidentally, this beach also has a "left" surf break, meaning a wave that surfers ride to their left.